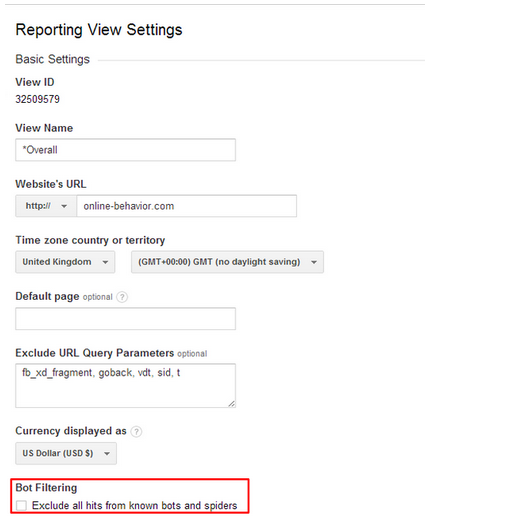 Earlier it was hard to distinguish between bots and real traffic as both were counted and displayed under Google Analytics. But now, thanks to the latest improvement, you can exclude bot and spider traffic from the real traffic. How to Exclude Bot Traffic? 1- Click on Admin and go to View Settings. 2- Click on the check box that says "Exclude all hits from known bots and spiders"